mantab, bisa nggak ya di pake di Blogger……. I have two users uploading to the blog and would love if I could have that box in a different colour when author is User1 or User2. Have you seen anything like that before where I could look at the code and figure out how to make that happen? As this is our travel blog, this is something I will do often. Love the theme!! Any chance for a 3 column version of Yashfa in the future? Where do I go in order to change the information that appears under the post? Profile Author that you mean? just edit your profile and the content will be updated. I really like your theme, and am currently using it as well. However the comment box is currently stretching into the second column. Also it looks fine in firefox, but does not look correct in IE 7. Do you have any idea on how I may be able to fix it. I used it for my blog and look great, but I am sorry I have been modified font size on footer with 10px. Like Josh, comment form ‘nabrak’ side bar. 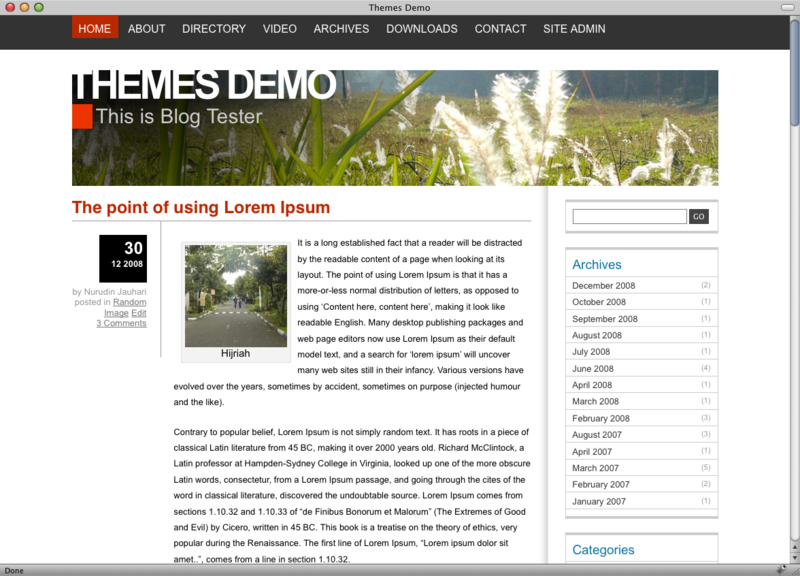 Lovely theme, but it is slightly broken in IE7. Scrollbars appear around the entire content area of the page. Also where it says ‘The upper is the most recent comment’ it displays the oldest comment first. It does look great in FF though, would love it use this theme. One other issue: In IE 7, the DHTML drop-down menus for subpages is BEHIND the customized banner image. This is still happening in version 1.7. Have you had any luck figuring out a fix for it? I can’t view my posts when I click on the title of the post. I can see the post when I’m at the Home tab but when I click on the individual blog post link, it takes me to the page but there is the body of the post is missing.